BERLIN, Germany -- Europe's comet-chasing space probe Rosetta performed its final task Friday, dipping out of orbit for a slow-motion crash onto the icy surface of the alien world it's been following for more than a decade. Jan Woerner, the head of the European Space Agency, said the 1.4 billion euro ($1.57 billion) mission was already a success. 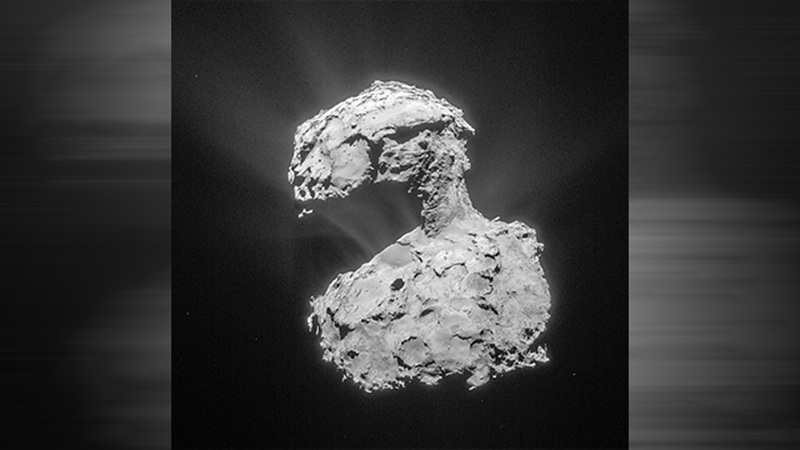 Aside from sending a lander onto the surface of comet 67P in November 2014 - a cosmic first - the Rosetta mission has collected vast amounts of data that researchers will spend many more years analyzing. The controlled descent took place at about 90 centimeters per second - roughly half walking speed - giving Rosetta a chance to snap some unprecedented low-altitude images of the comet that could reveal surface features as small as an inch (2.5 centimeter).